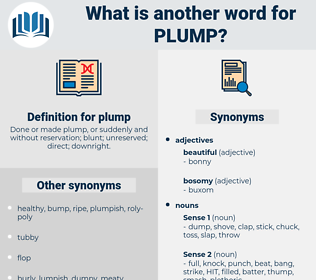 What is another word for plump? 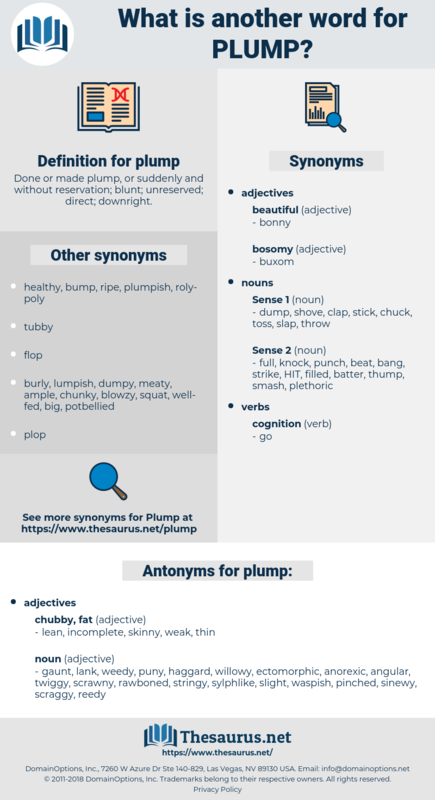 Done or made plump, or suddenly and without reservation; blunt; unreserved; direct; downright. lean, incomplete, skinny, weak, thin. gaunt, lank, weedy, puny, haggard, willowy, ectomorphic, anorexic, angular, twiggy, scrawny, rawboned, stringy, sylphlike, slight, waspish, pinched, sinewy, scraggy, reedy. Is a girl rather plump? Her plump, knitting hands fell slowly on her knees. take, choose, select, pick out.